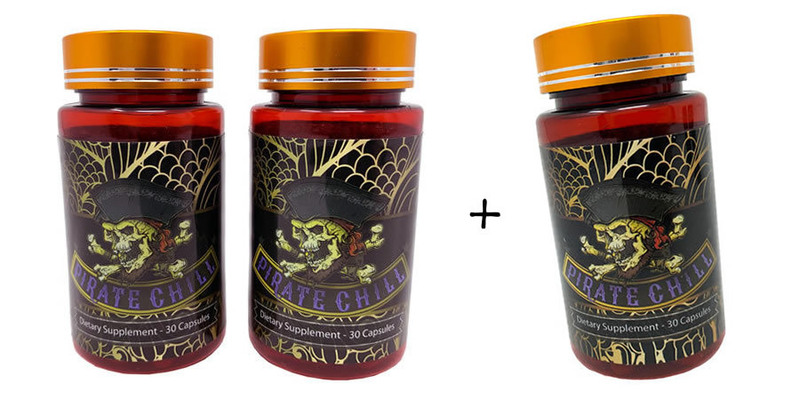 Pirate Chill is a natural nootropic product. The Pirate Chill formula has been improved for strength and conatins: 5-HTP, L-Theanine, Passion flower extract, and Valerian root extract. Two Bottles.